Hostgator is one of those popular Webhosting companies, which doesn’t need any introduction. They are famous for their amazing support and quality hosting. I have been using their shared hosting services from last few years and never had complained about them. I’m shared a handle HostGator hosting review here based on my experience of hosting my sites with them. I will also be highlighting some of the pros and cons of their hosting plans. Since I’m using HostGator for hosting WordPress sites, my review & feedback is based on WordPress. I ‘m currently hosting 2 WordPress sites on HostGator server & one Active collab (Project management system). I think for most of us this is the first criteria for picking a hosting. Especially it’s highly advised to have a budget in mind when shopping for hosting. Since you can get hosting from anywhere from $5-$100/month, you don’t want to end up spending all your budget in hosting. HostGator offers different hosting types & for a beginner, their WordPress managed hosting is most appropriate. It comes with all bells & whistles that you need to launch your WordPress site. Compare to other hosting companies, HostGator is par excellence in terms of customer support. They offer various ways to connect to support including Twitter support too. 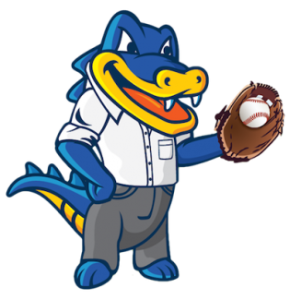 Hostgator is one of the popular Webhosting company among Bloggers, Internet marketer, and Webmasters. Especially when it comes to WordPress, Hostgator is an ideal choice looking at 24*7 support and price. Hostgator is featured rich web-hosting and here are few things which you get with any package of Hostgator Webhosting. Hostgator offers various hosting packages including shared, Managed WordPress hosting, VPS, dedicated and reseller, They also offer Windows hosting, but I suggest to stick to Linux hosting (default), for WordPress sites. Their shared hosting service comes in three different sub packages ( Hatchling, Baby and business plans). All the plans offer unlimited bandwidth and storage. Here I’m listing down the details of all plans, which will help you to find the best hosting plan for your next website. Hatchling Plan is the ideal package for any blogger who is planning to host only one website. Like every plan you will get unlimited disk space and storage with Hatchling plan. Since it’s cheapest plan and initially if you have plans to host only one blog, you can grab Hatchling plan and later on your can upgrade to Baby plan to host multiple WordPress blog or Websites. One of the most popular plan and most of my hosting packages on Hostgator are baby plan only. This plan let you host multiple Websites and offer every other feature of hatchling plan. I have experience of hosting 5 WordPress blog simultaneously without any issue on Baby plan. Also, maximum traffic limit which I handles on HG without any issue was 25K page views a day. Though not to forget, my site was properly optimized with cache plugins, CloudFlare, and few other techniques to lower the load of my Hostgator server. 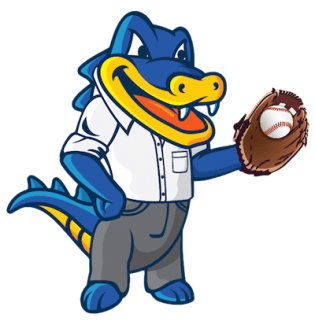 At this price (Find HostGator discount coupon below), this plan is one of the best picks for anyone. I’m not a big fan of Business plan apart from the fact, you can use dedicated I.P with this plan only. This plan is perfect for corporates, small business owner who are not technically sound. With this Business plan, you will be getting one Dedicated IP, Toll-free number and Private SSL. If you are looking for a reliable Webhosting for your Websites and WordPress blog you should try Hostgator. I hope this Hostgator review helped you to pick the best plan for your Hosting. If you still have any query, you can ask me on Facebook.